Porridge oats are always a breakfast favourite and are so versatile. Add any of your favourite ingredients and keep your breakfast choice interesting! This recipe uses gluten-free oats which are available in all supermarkets. Follow this simple recipe for some inspiration on your breakfast for tomorrow. 1. 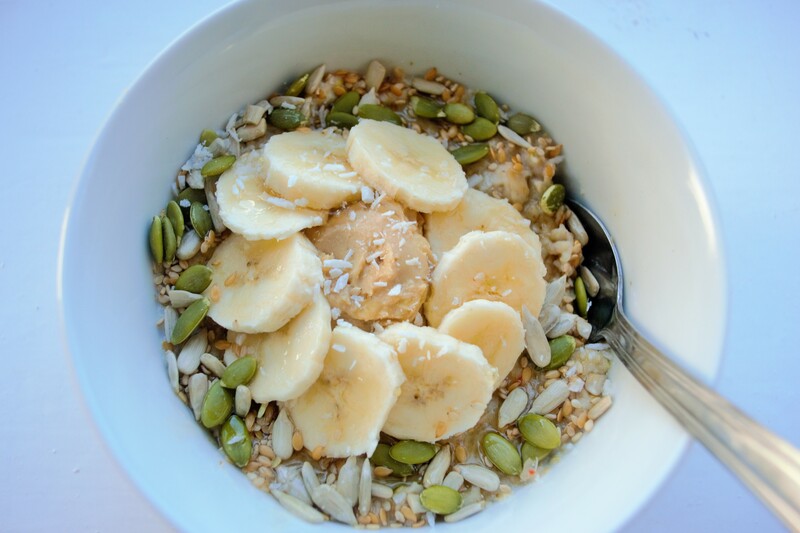 Prepare your oats the night before by adding them to coconut milk in a bowl and covering in the fridge. 2. In the morning remove from the fridge, heat up on a saucepan on a medium heat and when hot enough, pour into a bowl. 3. Place the peanut butter in the centre and add the rest of your toppings where and how you like them!